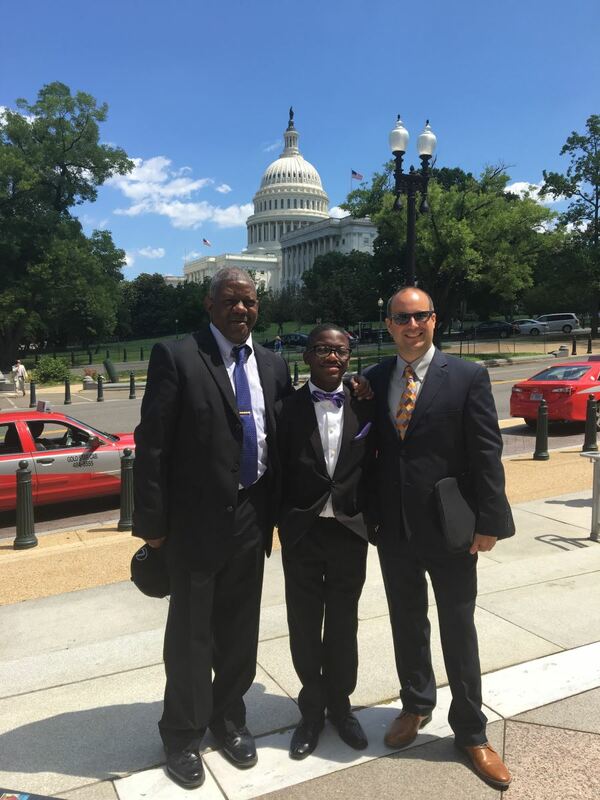 The League co-hosted a Hill event on June 28 featuring 9th-grade cellist Josh Grandy from the Baltimore Symphony Orchestra's OrchKids program, briefing Congressional leaders on the importance of charitable giving and nonprofit pa rtnerships. Josh and the League's Vice President for Advocacy Heather Noonan spoke alongside Rep. Danny Davis (D-IL) and representatives from United Way Worldwide, the Association of Gospel Rescue Missions, Council on Foundations, and Independent Sector to encourage tax reform policies that will support incentives for charitable giving and help nonprofits grow their services to communities. As both the House and Senate move forward consideration of comprehensive tax reform, the briefing highlighted research, Tax Policy and Charitable Giving, that finds that current tax reform proposals under consideration by lawmakers and the Administration could decrease charitable giving by an estimated $13.1 billion per year. On June 26, the U.S. Supreme Court lifted the injunction on the March 6 executive order, allowing for the reinstatement of travel restrictions, with certain limits. Travelers from Iran, Libya, Somalia, Sudan, Syria, or Yemen intending to enter the United States with a "bona fide relationship with a person or entity in the United States" cannot be barred from entry, however, and this appears to apply to artists using O and P visas. As the Court's decision articulates, individuals accepting a job offer from an American company may be considered to have a "bona fide relationship with a person or entity in the United States" and, thus, not be subject to the travel restrictions. An FAQ accompanying a Department of State announcement specifies that nonimmigrant visas, such as the O and P visas used by artists, are inherently exempt from the restrictions of the executive order. Further Court action will follow with arguments set to be heard in October 2017. In the meantime, the League continues to share the latest developments on our dedicated website, www.artistsfromabroad.org.